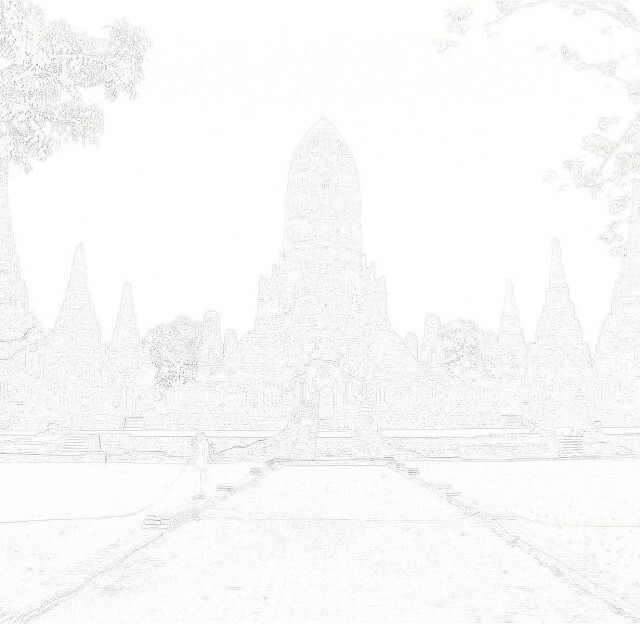 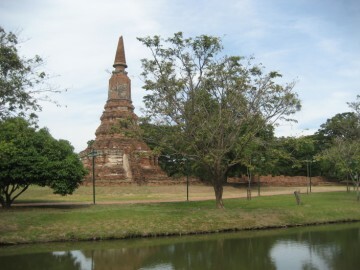 Nakharin Park, being part of the Ayutthaya Historical Park. 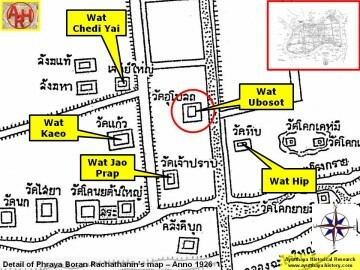 Yai stands west of it. 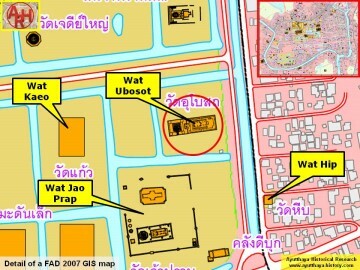 The exact date of the temple's construction and its historical information are not known. 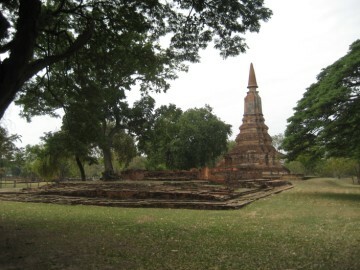 redented square platform has a stairway on the south, leading to the base of the chedi. 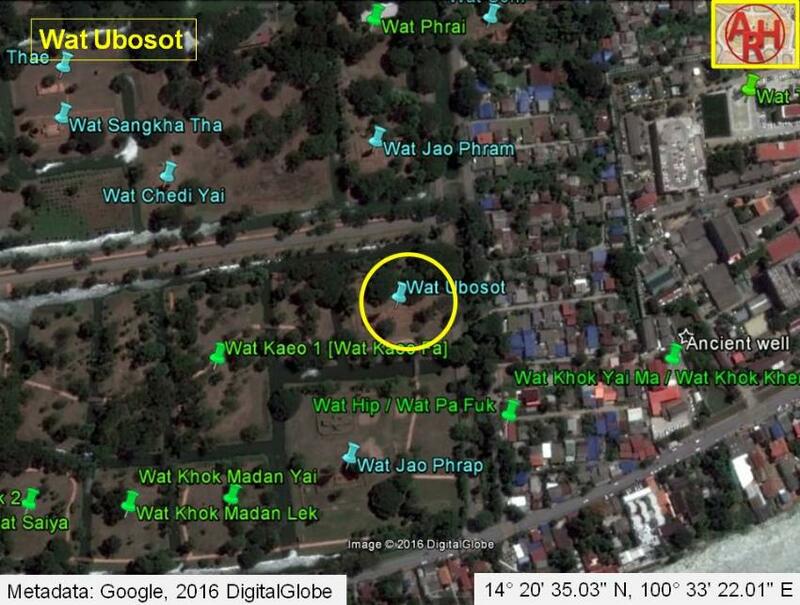 built on top of the foundations of the ubosot. 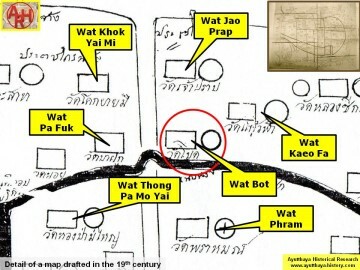 Wat Ubosot in indicated in a mid-19th century map under the denomination "Wat Bot"
as on Phraya Boran Rachathanin's map drafted in 1926.